The vast majority — 71 percent — believe journalists remain committed to seeking the truth and reporting it fully, according to a recent survey of North American business journalists released by financial reporters’ association the Society for Advancing Business Editing & Writing and Miami-based PR firm rbb Communications. The survey, which sought to gauge journalists’ sentiments regarding the state of the media and how it’s been impacted by the Trump administration, focused, in part, on the practice of unnamed sources, which has seen increased use among the press in recent years. The majority of respondents — 36 percent — said while naming a source is always preferable, most readers and viewers today understand and accept why the use of unnamed sources is sometimes necessary. More than a quarter — 26 percent — said they don’t currently feel compelled to use unnamed sources more than before. An additional 18 percent of journalists said the current political landscape has birthed a growing skepticism toward the use of unnamed sources, and they’re concerned that stories will now be viewed as less credible as a result. When asked to elaborate on today’s journalism environment, the majority — 37 percent — said the most unpleasant part of the profession is its constant uncertainty and instability. Nearly a third — 32 percent — said they dislike today’s emphasis on brevity and click-friendly content. An additional 11 percent cited the pressures of being expected to manage and navigate multiple platforms. 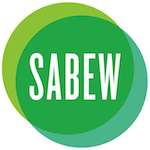 The rbb/SABEW survey polled journalists and media professionals who are current SABEW members, and drew responses from 80 respondents. The survey, which was administered by SABEW, was conducted in September.